What's The Best Espresso Machine For Home Use in 2018? What’s The Best Espresso Machine For Home Use? Finding the best espresso machine for home use is definitely a tricky process, but looking for a true quality construction is the real key. Let me reduce your research time and quickly pinpoint some great quality available within each class. 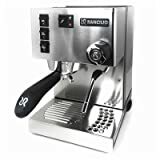 These are the best at home espresso machines for each type of coffee espresso maker (stove top, manual, pump, pod and fully automatic) they will give you the best value for money, excellent results and will last longer. With an eye for quality, along with the all important ‘value for money’, I looked at the facts coupled with some of the best coffee maker experience within the industry and I can now provide my opinion on the best espresso machine for home within each of the following categories. Even though you can spend much more, many experts point out that an espresso machine within the $350 to $750 budget range is a reasonable value for money with regard to home users. Unsurprisingly, this is where we identified the greatest number of semi auto espresso machines available. Over 1000 five star ratings are a testament to the quality of the Breville Barista Express and they can’t be denied. With perfect coffee in less than a minute every time, there really is no comparison. Brevilles best espresso machine features a unique grind-size and grind-amount dial. These feature pre-set measurements for optimum performance, but you also have the ability to customize these settings to suit your own unique taste with the simple twist of a button. The true key to the perfect cup of espresso is grinding the beans to the correct consistency. The Breville Barista Express BES860XL includes an integrated burr grinder and dosing control. There are also pressurized filters within the machine that help to create perfect crema every time. While some people may find the Barista Express a little expensive, you have to realise everything you get. This machine really looks the part as best at home espresso machine. In fact it looks like it should be sitting in a coffee shop! With 250 five star ratings on Amazon the Rancilio Silvia espresso machine comes in a close second as best espresso machine for home use. The Italian-made Rancilio Silvia is an exceptionally sturdy machine capable of making cafe-quality coffee. This machine was designed to last, with many of the critical components made from durable brass and stainless steel. The inclusion of brass within the components means that you’ll get a far more stable thermal quality. This is crucial for extracting great espresso. The brew head and portafilter are also constructed from brass. 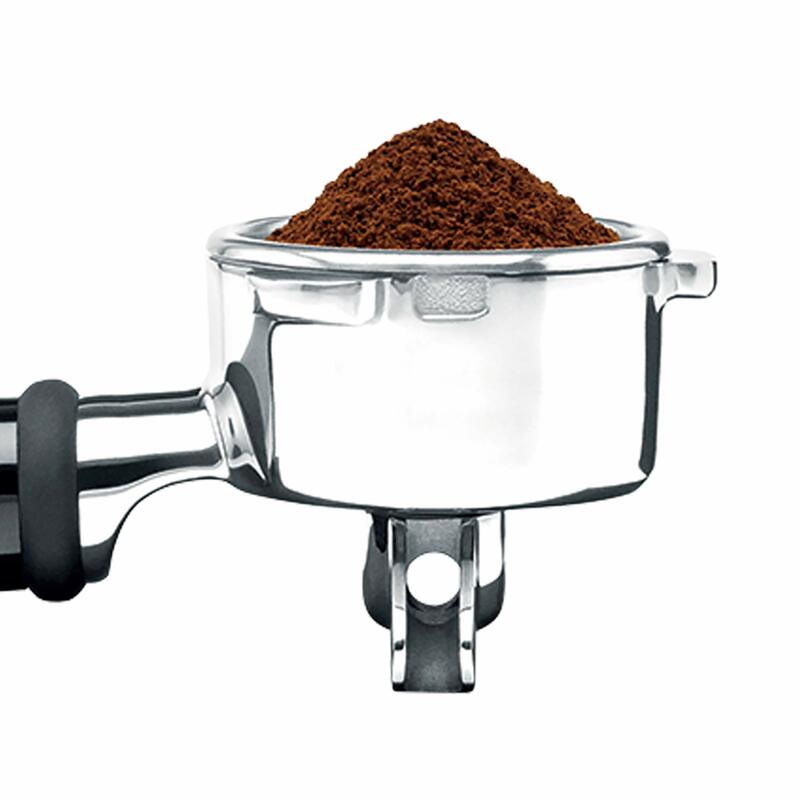 The ball-jointed steam arm with its single-hole steam tip is ideal for creating perfect froth every time. Whether you’re creating cafe-quality cappuccinos or lattes at home, you’ll always achieve just the right amount of froth. The features included in the Rancilio Silvia make this more like a commercial-quality espresso machine that has been squeezed into the body of a home-use machine. This is Gaggia’s best espresso machine, it is semi-automatic and it also comes in stainless steel. The Gaggia 14101 Classic Espresso Machine is easily one of the best at home espresso machines available on the market today. Aside from being quite budget-friendly, this machine was created using durable materials designed to last for the long term. It blends the stylish looks of classic design with the best in modern coffee-making technology. However, it’s the simplicity of making the ideal cup of espresso that really makes this machine stand out. It can be used in both the traditional way where the coffee beans are grounded before tamping and brewing as well as the modern way using the pods. The Italian-designed Gaggia has long held a reputation for excellence in its espresso makers. Using 58mm filters within durable stainless steel housing, this machine features a 17 ½ bar pump. It also features a specially-designed boiler that heats up water far more quickly than you might expect. The Gaggia 14101 Classic is renowned for the inclusion of a three-way solenoid. This releases pressure once the pull is complete, allowing you to immediately prepare the next shot without waiting. Very affordable, extremely attractive, high-quality and the best at home espresso machine are all phrases that accurately describe the EC155 from DeLonghi. While this espresso machine might be aimed at budget-conscious coffee lovers, there’s nothing cheap about the high-quality make and finish of this machine. Of course, the EC155 makes an exceptional cup of coffee every time, but it’s the convenience of the machine in itself that makes the DeLonghi brand a sure favorite. To prevent annoying drip from coffee on counter tops, a removable drip-tray is provided. This espresso machine is created using strong black and silver plastic, which is lightweight yet strong, so it is quite portable. To add to the features that make the EC155 a great choice, the machine features a 35 oz water reservoir. The real drawcard for the DeLonghi EC155 is the inclusion of two thermostats that allow you to control water and steam temperatures and pressures separately. This lets you make the ideal espresso or the perfect cappuccino every time. 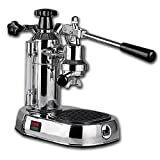 The DeLonghi EC702 15-Bar-Pump Espresso Maker also deserves a good mention among the best espresso machine for home use. With the DeLonghi EC702, you’ll never have to step foot into a cafe again. Created with quality in mind, this coffee machine is sturdy and strong but it also makes an excellent cup of espresso easily. This machine also features a dual-function filter, which incorporates two separate attachments. These are the ESE Filter and the Sempre Crema Filter. This enables you to use pods or ground beans. The choice is yours. 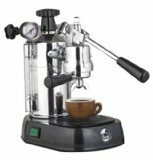 This espresso maker also comes complete with an excellent milk frother for making the perfect cappuccinos or lattes every time. La Pavoni is a brand to take seriously, and to consider for your needs when looking for the best espresso machine. The Italian-made La Pavoni EPC-8 Europiccola is a unique fusion of old-fashioned classic appeal and modern espresso-making technology. It features an all-steel construction beneath sturdy chrome plating, which gives it a truly retro look. Not only does this make it a stunning machine to leave out on the bench in any kitchen, it also means the machine is built to last. The La Pavoni EPC-8 Europiccola includes a 20 oz boiler capacity and can make 2 cups of espresso simultaneously. The pull-down coffee compressor is the ideal addition for those who like to experiment with tamping the grinds for that unique espresso taste. There is also a separate Cappuccino spout, designed to froth and steam milk so you can create the perfect cappuccino or latte right from your own kitchen. The stunning La Pavoni Professional PBB-16 is based upon a successful design that was first incorporated into the best at home espresso machine back in 1961. La Pavoni found this design worked so efficiently at making the ideal cup of espresso that they didn’t change it. This gives the La Pavoni Professional PBB-16 a stylish retro look, but it incorporates the very best in modern technology at the same time. This machine features a 38 oz nickel-plated non-corrosive boiler and a stainless steel element. It’s also capable of making one or two cups of espresso at the same time. The internal thermostat allows you to monitor pressure within the boiler so you’ll always know precisely when to pull for the best shot possible. The milk frother is designed to create the ideal level of frothiness, although this can easily be adjusted to create more or less froth to suit your own individual tastes for your cappuccinos or lattes. La Pavoni have also thoughtfully included a detailed instruction booklet, as well as a 10-minute video to show you exactly how to get the best out of this machine time and again. The Elektra ART-S1CO Micro Casa is a lever espresso machine that actually makes it easy to create that perfect cup of espresso. Elektra have incorporated a spring inside the piston that gives you consistent pump pressure with every pull. There are no variables or differences in each pull, so you know you’re getting great coffee every time. The 61 oz boiler itself is constructed of sturdy brass and features a handy glass water-level indicator to let you know how much water is in the boiler at any time. There is also a pressure gauge that lets you know exactly what steam pressure is in the boiler. There is also a great steam wand that can be easily attached for frothing milk for that perfect cappuccino in the morning.